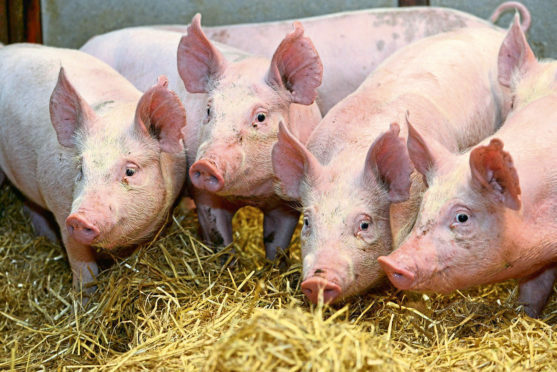 The survey found consumers did not realise how much pork was produced from intensive systems. A survey of more than 2,500 shoppers across Europe found the majority of people have misconceptions about the way animals are reared, with few understanding what intensive production really entails. And with the public having limited opportunity to engage directly with farmers, there runs a risk of animal rights groups filling in the gaps in consumer knowledge, researchers behind the survey said. Carried out by scientists at Newcastle University as part of the EU’s PROHEALTH project, the survey questioned shoppers across five countries – the UK, Finland, Germany, Poland and Spain – about their attitudes towards intensive livestock production. The findings revealed some people did understand that more intensive systems allowed meat to be produced more cheaply, ensured secure meat supplies, and brought some benefits to animals, such as protection from the weather. However consumers were concerned intensive systems were poor for animal welfare, as they believed they stopped animals from displaying natural behaviours and had lower standards of stockmanship. They also had misconceptions about how animals are produced, with many concerned over the use of antibiotics as growth promoters despite it being banned in the EU. Beth Clarke, the lead scientist behind the project, said the results highlighted the disconnect between consumers and modern farm production, and the need for farmers to take a more proactive role in explaining modern agriculture. “People don’t have the ability to visit farms, they don’t know people working in agriculture and that don’t know where their food comes from,” she said at the European Federation of Animal Science conference in Dubrovnik. To tackle the problem, Dr Clarke said it was vital the industry did more to provide accurate information to consumers about how intensive systems are run, as well as the good care and practices used in them. “It is important to ensure the industry’s voice is heard and that accurate and positive descriptions for the industry are made available for the public,” she said.